With the powers of prayer, contemplation, meditation and intuition, the universe is envisioned and manifested as a combination of material realities and non-perceivable, non-material laws and principles of nature. From this multi-dimensional activity everything first takes place at the quantum level, the level of pure essence and origin . . . then manifests into four dimensions. 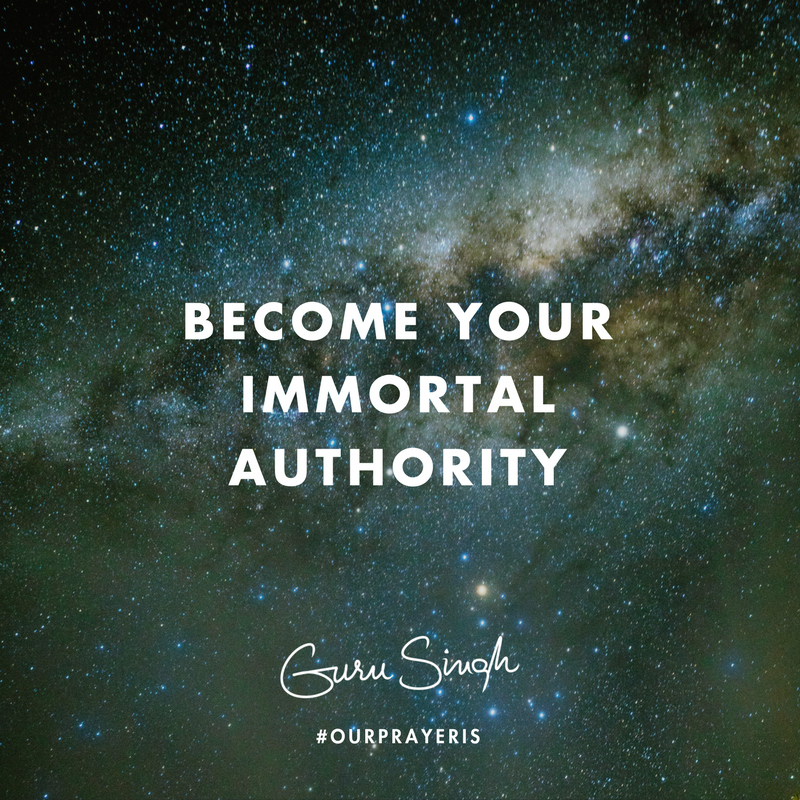 This process of creation is accessed, without requiring approval in any way, when you give yourself your 'immortal authority'. There are three principles of nature that belong to this authority: (1)"If you're not leaning over the edge of life, you're taking up too much space" (2)"If you're feeling out of time, you're not in the moment." (3)"When you experience stress and pressure you're not at your center." Leaning over the edge of life, enters the space not yet occupied; having all the time in the world, opens the space that does not yet exist; entering the space that does not yet exist, awakens your immortal authority. Tension, pressure, stress and friction are the principles holding the material reality of space and time . . . space and time provide a contextual stage for your existential predicament . . . the predicament that lives and dies. Your immortal authority is beyond this death -- death cannot touch it -- yet it creates everything. Our prayer is that you use your power of prayer, contemplation, meditation and intuition to witness the death of death; then honor your grief all the way to realizing your reality is Spirit . . . in this reality you become your immortal authority to create the universe you dream of.